On Wednesday 6 June, Royal Australian Air Force (RAAF) Boeing B737-7ES / E-7A Wedgetail Airborne Early Warning & Control (AEW&C) aircraft A30-001 was again photographed by local plane spotter Kayanne H soon after it had again completed a missed approach at Rockhampton Airport. On this occasion, A30-001, flying as "Wedgetail 10", was noted flying down from Townsville, and after completing its airwork, continued to RAAF Base Amberley where it was noted completing many circuits. It appeared that A30-001 then returned North. 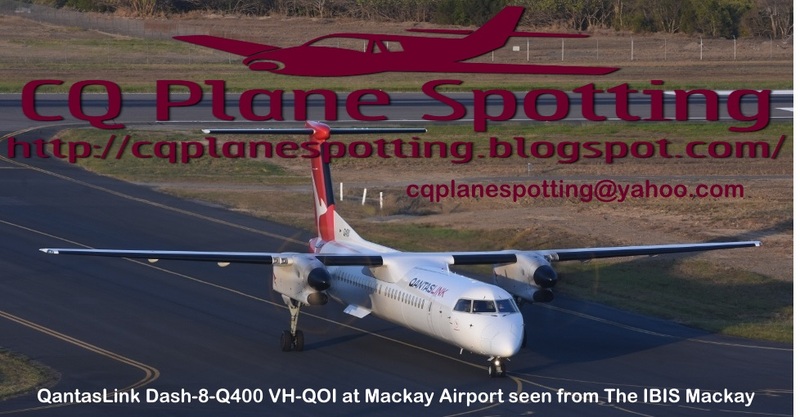 As posted below, A30-001 was also spotted completing a missed approach at Rockhampton Airport on Tuesday 5 June while heading North to Townsville as "Mitchell 03". Of interest, earlier on Wednesday 6 June, A30-001 completed a sortie out of Townsville as "Mitchell 06" in support of the RAAF's Exercise High Sierra which is currently underway in the Townsville area.